I've also manage to make it all the way to the end of the Lannahechee River! Normally you stop where the solid mesh ends. But by boat you can keep on going! I made it to Guarma by boat. Long journey, but it's doable! Could you explain how did you do it? 1.Do any one of the out of maps glitches. 3. When the map switches, and the sea floods in, go North, towards the Lannahechee River. 4. Stay on the East bank until you're level with Van Horn Point, then drop into the strand and there should be a canoe around the shore. 5. Head towards the river mouth/entrance in the North East, stay close to the east shore. 6. At the map egde, row hard to pass the boundary. It works because the sea and the river overlap, so the game can't tell which layer you're on. 7. From here you can either continue downstream all the way to the ocean. Or you can go to the non-solid mesh on the right side and go through it to head to Guarma. 8. If you went through the mesh,, then head back south towards Guarma from under the mesh. It will take a while but you will get there in the end! 9. When you get to Guarma you're likely to be on the blurry side of the map. The water is gentle here, and you can row with ease. Once you hit the main part of the map, the waves kick in. They are not as gentle, and will likely throw you off your boat, multiple times. The boat will not sink though! It may capsize, but it always flips back over so you can swim back to it and continue your epic journey! Woah, thats a great find. 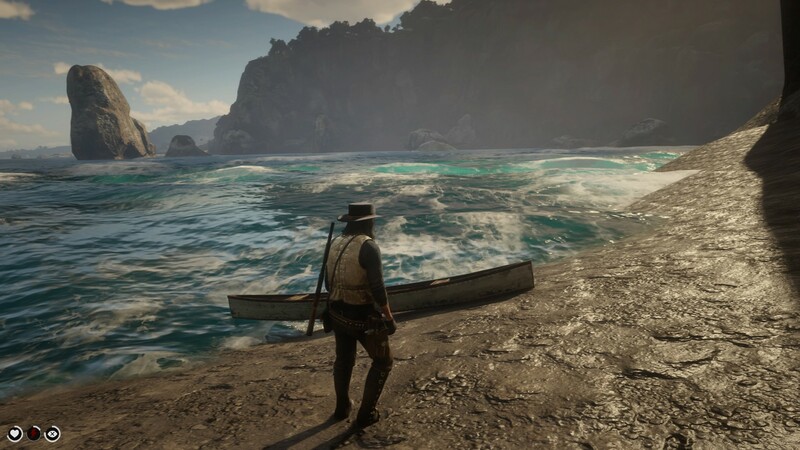 I wonder what would happen if you'd just continued north into the ocean and not east then south to Guarma, and if maybe the shark spawns properly somewhere out there. Maybe they used that large ocean for the ship cutscenes? Other than that I don't see why would they put this ridiculously amount of stuff/water where we can't go. Did you find anything interesting in the shore? Unfortunately, what you can't see in this video is that i cut befote i try to go around the edges of the map. There's a boundry that prevents you from going out to sea. And actually turns the boat right around. I know there's so much land and river, i cant believe they modelled it all the way out to sea! I didnt find much more than what you see in the video out there. Not half the size, more like 3/4th. It's literally ridiculous. Imagine being a modeller for those regions and no one would see them, except glitchers, if you are lucky. In contrary to GTA V, there is enough room to expand outside of the current playable regions. People who followed me for a few years in the GTA Map Addition thread, know we found evidence of San Sierro and Las Venturas in GTA V. Hell; we even found beta stuff from those locations. Was shot to hell and discontinued because the team shifted focus to Red Dead... They somewhere planned a map expansion for GTA but it never came through. Hmmm, interesting. Mind sharing a link to these posts? I fired up Red Dead Redemption (1) to try and see where Nokoti Rock (cave) should be in RDR2. Ouch, I hadn't realized how old that game was. It's so clunky and sparse compared to its sequel. You horse ride twice as fast, too. I was also looking for the mining camp southwest of Nokoti which also isn't in RDR2. The other trivial bit I forgot about was the Aurora Basin was originally fed by a river to the west! Now... wwwwwhy not have that easily created terrain in RDR2 after seeing how much raw terrain isn't used? So many more interiors you can go into in the original, for example Blackwater's church. I'm 1000% okay if Rockstar modifies, updates, changes, reworks, anything they've released to make the Red Dead legacy the best it can be. There's a better place to get into Guarma from Mexico, without falling or being killed by jump. More infos soon. I promised a video, here's my guide to getting out of the river and to Guarma by Canoe. If you're outside the map borders, go to the marked place to access Mexico or get out of there. 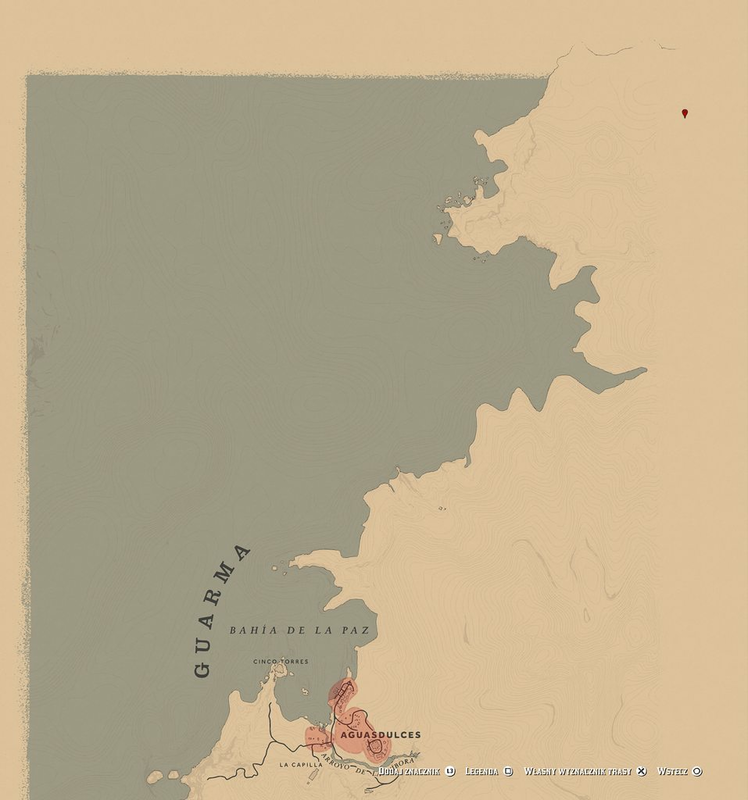 When you're in Guarma region and Guarma map is visible on the radar, go to the marked place. Collision will not match the terrain, because your steps are already on the island. Game will unload RDR2 map and switch quicky to Guarma. That's how i usually get there too. I use it because i take a buggy for infinite stamina. In short, we found ingame advertisements, graffiti's, signs and images with unused/not heard before names and even audio! It was a lot of fun to do, and I actually thought we would see Northern San Andreas as dlc. A lot of ingame proof, enough to fill up to 3 a4 papers. (without pictures!) We were even able to create a map with the images and info we had (an expanded shoreline, making Paleto Bay literally a bay, with another town and eventually leading up to San Fierro). Well... probably because of dlc or add on reasons (but I have been wrong with GTA V as well). 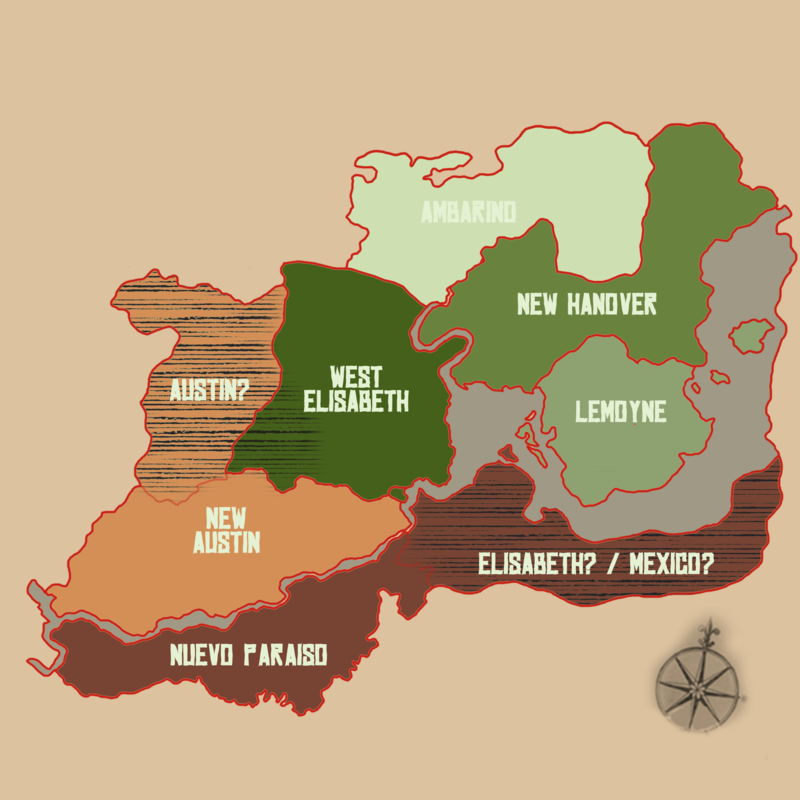 Otherwise there wouldn't be anything 'new' in New Austin if we ever get it. Even if it doesn't arrive ever, it is still most likely the reason. The river pouring into Aurora Basin? I have no idea why they changed it. Probably because they have other/new plans for the future of that region? As far as I can see when you are off map, there is easily enough space to create a river there. I see. The thing is San Fierro or another GTA city being mentioned in V is simply due to the fact that R* wants you to actually think that they exist within the world, which is the just part of the illusion. Vice City mentioned on the radio or seen on an advertisement is similar to reading about Miami on Wikipedia while you're in New York, but this doesn't mean that you'll ever visit it in your lifetime. Just like our real world, there's a GTA world with names and cities. Dedicated work anyway. Map expansions could've indeed been part of the plan for V and so they could be now for Red Dead. More stories, I'd love that. I've been in there using dynamite and no bounty cheats. The passout glitch didnt work for this one. How did you get over/through the wall? You need to use a couple cheats to pull it off. You need to spawn a circus wagon around the back wall, so you can get ontop of the little room. Then place a dynamite in the middle of that roof, and run to the corner. You'll fall over and when he gets up, he'll glitch into the top watch wall. You need to use the remove wanted level cheat to stop waves of police spawning in everywhere. Thought I may as well put up a guide whilst I'm at it. We want all the map explored after all! Really interesting, do you have a link for that? A bit of a shame, but I would imagine that the game engine is as maxed-out as it could be. I sort of wish they had self-enclosed ministages like Liberty City in SA/ North Yankton- imagine going on a brief trip to a Las Venturas casino for a heist, or being chased around San Fierro's Chinatown. A bit of a shame, but I would imagine that the game is as maxed-out as it could be. You won't find anything, because it's ALL MADE UP. There is nothing in GTA V/Online like that other than few references to San Fierro or Las Venturas, which are also present in GTA IV. "Beta stuff from those locations" is a LIE and the rest is a pure speculation, wishful thinking and maps built on these foundations. -"1.5x GTA V is the most likely scenario. Trust me on that one." 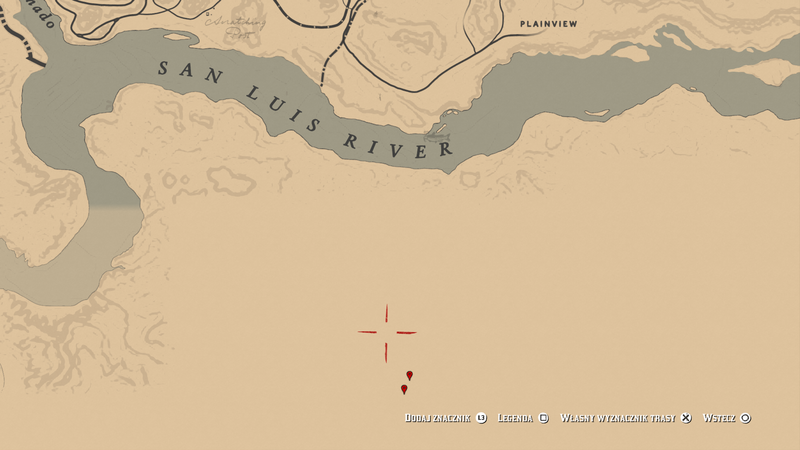 -"This is what we will most likely see in the game:"
-"The map scale of RDR2 is huge, my guess a scale of 2, this would make the area of RDR1 4x larger"
and so on. Of course when RDR2 arrived and all these fantasies and wild theories were proven to be completely wrong, there was a brief radio silence, because well, you would have to admit how off the mark you were, and now we are again in "map add-ons for RDR2? make sense right, otherwise why would even Mexico exist in the game? why all these animals out of bounds? totally not suspicious xD lol ahahahaha guys" territory. I actually enjoy speculations and fan made maps, but when it ends up in some bizarre mix of fantasy and reality presented as facts, it's time to STOP. Wow dude. I have literally not been off this forums for more than a day. Also I was only wrong about the scale, since ya know, the map is about 4x the original rdr when we include the walkable but unreachable regions. You know why a lot of us thought it was larger? Because we saw those regions in trailers. Btw I think you have me mixed up with someone else, since I only spoke about map scale and in terms of regions about Mexico and the valley, which I visited when going out of bounds. So no. Nothing out of the ordinary there! Also I always substantiated my replies, either with quotes or mathematics. The 4x size was said by multiple gamemagazines. So it was logical we thought it was. Which fueled the speculations about increase in map scale and unseen regions. Tldr: f*ck off for calling me a liar. No-one has presented any fantasy as fact. The only things that is fact is there is a hell of a lot of land outside of the mapped terrirory. Documenting what we have seen outside of the map is also fact, and that's where we are at in this thread. Showing and discussing parts of the map that havent been explored. There's nothing wrong with speculation either btw. Some dues need to be given, because a lot of the speculation in this thread turned out to be true. For instance, BrettMaverick got on the wrong side of a few people here but a lot of his speculation had merit. Like he was positive there was more to the Grizzlies, and there is, as Rockstar reworked a lot of it. He said Canada might even be north of there, in fact I'm pretty sure he's right and it's mentioned by characters in the game that north of the Grizzlies is Canada, right? Rockstar just didn't develop that area for the game, but the groundwork is there though. He was also positive Mexico was in the game, it basically is. Then you have New Austin which was basically just speculation right up until release, we were never sure if it would play any part in the single player. And don't forget all the crazy FOV settings Rockstar used that would lead to a lot of speculation. Also those pano shots from the gameplay trailers that I remember confusing the hell out of me, because Rockstar had reworked the whole Roanoke area and moved Van Horn. As for the uncharted (and now, thanks to this thread, charted) parts of the map, I think a lot of us speculate Rockstar have laid some groundwork down for RDR 3. With RDR they have a great opportunity to fulfill Leslie Benzies' fantasy of having all GTA cities connected, it just won't work with GTA though, but can work perfectly with RDR. In GTA, I don't think it's practical to try and connect Liberty City to Los Santos via some loading screen you get after you buy a ticket at the airport. However Rockstar can continue to connect the RDR towns and cities and then continue to expand out in any direction they want and that's basically what they did with RDR 2, and I love that, because the deep lore of the place itself gets richer the more detailed and expanded the RDR world becomes. The sense of place in this game is truly staggering at times for me, every time I turn the game on in fact. And I want that to continue with RDR 3. So yeah, is there a whole lot more desert South and South East? Well if Rockstar decide to go in that direction, we now potentially have an idea of what to expect. Or perhaps they go North towards Canada? Where Charles went? Who knows. Either way, they didn't get to plan ahead when they built the original world for RDR 1, they however have had plenty of time to plan ahead for RDR 3, and that's why this speculation is interesting to me.